The RxSorbo web page showcasing hockey shoe insoles has been updated in time for winter hockey season. Visit to learn about insoles available for use with this special type of footwear. This is the information age or so they say, but if that’s the case why can’t a hockey player get a solid answer. RxSorbo, a leading online retailer of top-rated shoe insoles, is pleased to announce that the landing page for hockey shoe insoles has received an October update in order to help players find the most appropriate insoles that can aid the performance while out on the rink. The proper insoles that fit the design profile of a hockey skate and are crafted to provide comfort and support on the ice. Every player deserves the best and when it comes to hockey shoe insoles. An athlete’s feet take a lot of punishment in this sport. The right insoles go beyond just a little cushioning, they will keep the action smooth and the feet comfortable. To learn more about hockey shoe insoles, please visit the hockey-specific page at http://www.rxsorbo.com/insoles/hockey/. 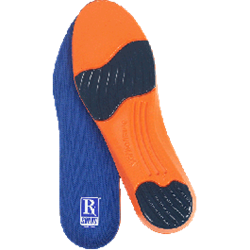 To browse all available shoe insoles, ranging from running to dancing and other sports, one can visit the following URL: http://www.rxsorbo.com/insoles/. There, one can browse the company’s classic heel pads, classic insoles, and the all whole line of sport shoe insoles.